Last night I ran the Crystal City 5K Friday. I know, that sounds weird, but "Friday" is actually part of the race name. This race occurs every Friday evening in April, and I ran the second race in the series. 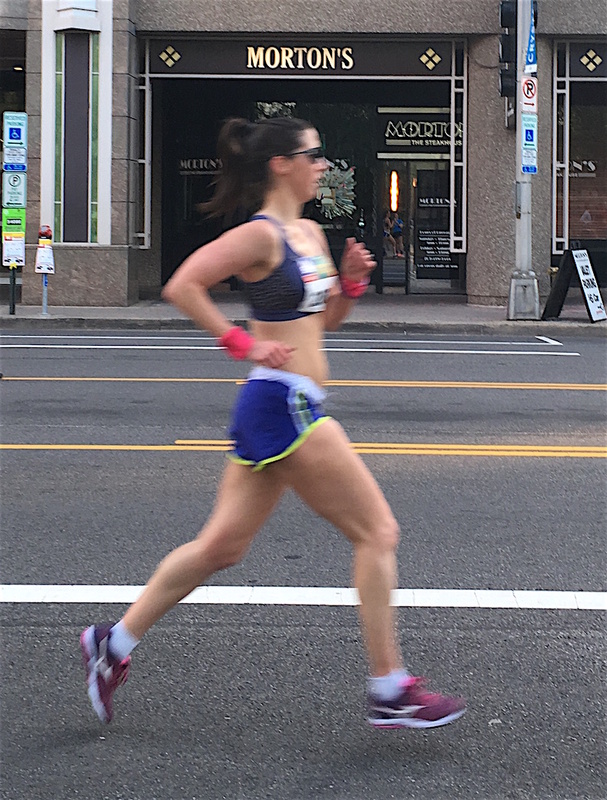 Now that the marathon and the 10-miler are done with, I'm going to spend the next few months focusing on speed. I haven't done much speed work since the marathon, and I decided that the Crystal City race would give me a nice baseline from which to start. 2010 (22:21) - A PR by over a minute! my ability to set a PR last night. But it wasn't a given. Even though my 5K PR could be considered "soft," both of those 10K races had ideal weather: 20 degrees for the February race and 32 degrees for the New Year's Eve race. 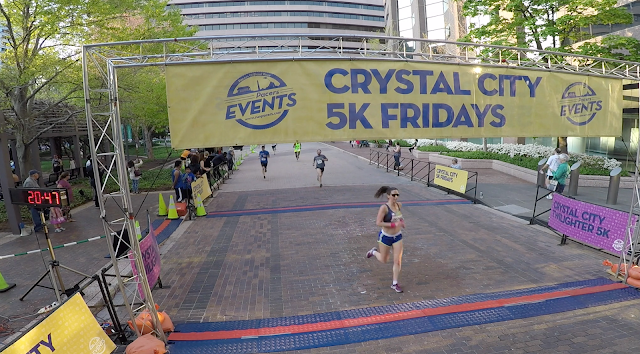 The Crystal City race was 70 degrees and sunny. I've never set a 5K PR in anything above 55 degrees. I changed out of my work clothes into my running clothes in the locker room at my office and drove to Crystal City. When I arrived, I picked up my bib and met up with Greg, who also had come straight from work. I was given bib number 2028, and so I determined that 20:28 would be my goal time. I drank my UCAN and then Greg and I warmed up together. Greg thought that mile marker 1 was in the wrong spot based on previous races, but it seemed right to me. It was only later that I realized Greg was right and they had totally changed the course. even by one second a mile. I wasn't sure if I could trust my Garmin because Crystal City has a lot of tall buildings. 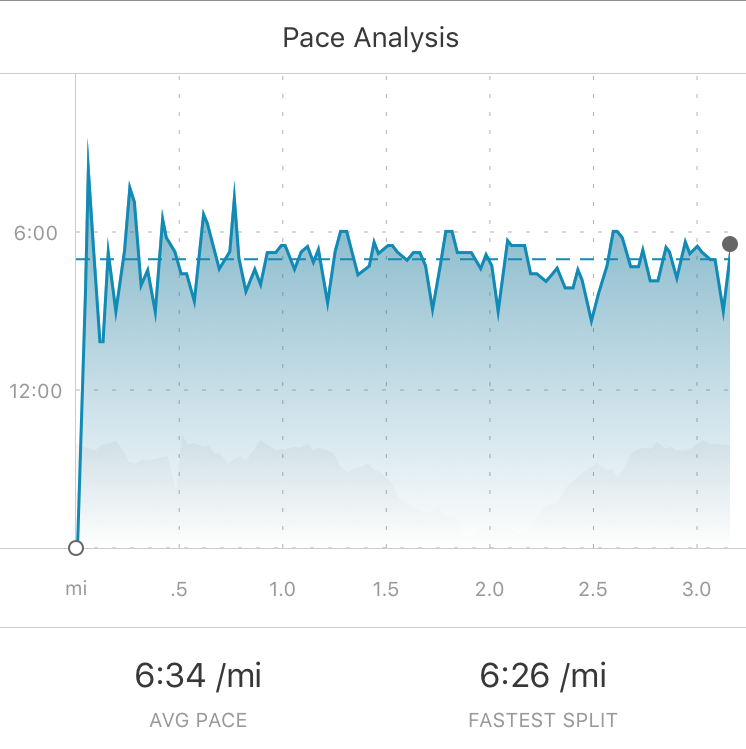 My Garmin pace seemed accurate during the warmup, so decided I would keep an eye on it, but focus on just running hard instead of the exact pace. I thought I knew what to expect: a mostly flat course with a few inclines and a few turns, which tends to be windy. However, they changed the course at some point between 2014 and now, and I was caught off guard. We started off, running in the opposite direction of how the course used to go, and I restrained myself a bit because I tend to go out way too fast in the first few minutes of a 5K. Plus, this was a relatively competitive field with quite a few fast runners given the overall size of the race. I would characterize this first mile mainly as annoyance. I try to stay emotion-neutral when racing and not let stuff get to me, and I generally succeed. However, there were times when I was annoyed by the constant twists and turns of the course, the uneven running surface, and the grates we had to run over. Right off the bat, the course twisted and turned, and it was hard to establish a rhythm. Despite all of this, I felt really good. I felt more energized than I did at the Cherry Blossom 10-miler two weeks ago, when I had felt "off." This was surprising given that it was an evening race and I always run in the morning. Not to mention the warm weather compared to the cool weather from the 10-miler. Typically when it's hot I feel like I am being zapped by the sun. But last night I didn't feel that way; I felt strong. 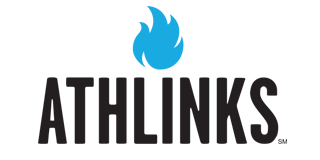 My Garmin logged a 6:32 for the first mile, and that was only 2 seconds before coming to the first mile marker (6:34 official). So I figured I could probably trust the Garmin. I was actually surprised, though, because I had not been at all close to the tangents. There were so many people and so many turns and not a lot of room, so I usually had taken the most clear path instead of the most direct. Things got easier during this mile. The running surface improved (no grates, not as angled) and there were fewer turns. There was one hairpin turn and a few others, but it felt more fluid than the first mile. I later saw on Strava that this mile had a net elevation loss of 28 feet. Which isn't a hill, but explains why it felt easier and why I ran faster. I actually passed several people during this mile which felt good. I was actually really surprised to see how fast I was running and how strong I felt, given the fact that it was warm and I wasn't acclimated. My Garmin logged a 6:26 mile, but I didn't actually hit the mile marker for another 10 seconds. This mile was painful. There is no other word for it. I later learned that it was a net elevation gain of 28 feet - essentially running up the incline that I had just run down. There were also a few surprising and unwelcome wind gusts that came along. I knew a PR was in the bag, I just had to maintain my effort level. 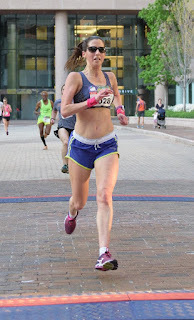 I saw my average race pace on my Garmin slide from 6:30 to 6:32 to 6:34 over the course of the mile and that motivated me to keep pushing hard. I managed to pass a few people during this mile, and nobody passed me, so I knew I was running strong. It took every mental trick in the book to keep pushing at that effort level. I ended up with a split of 6:42. To get to the finish line, you make a left turn, and then run around a curve on a brick surface. This killed my momentum and my finish line kick wasn't as powerful as it usually is, but even in years past this was always the case with the finish. My pace for this was a 6:42. Garmin pace: 6:34. Official pace: 6:41.
saw that I had run a 20:44. A PR by 6 seconds! After the race, I met up with Greg and my friend Allison, who had been cheering for me and taking photos. Greg ran a 20:13 and explained how he went out way too fast. Allison went to get us a table at a restaurant for dinner while Greg and I went to our cars to change. She texted me and said that my official time was a 20:47. I couldn't help but be annoyed by that. Even though you can't trust your Garmin distance and pace all the time, you can trust when you start and stop it and the overall finish time. When the finish line video was posted this morning, I can see that 20:47 was my gun time, not my chip time. Greg's finish line video shows him crossing at 20:16, and yet his official time was 20:13. Greg and I started at the exact same time. I looked at other runners who finished around the same time with me, and their official time is faster than when they crossed. So it seems like some people got a chip time, and some people got a gun time. The race results do not list chip/gun, they only have one time listed for each runner. Kevin, Greg's friend, mentioned something about receiving only gun time the previous weekend instead of net time. I guess I have no choice but to accept the 20:47 and be happy with an official 3-second PR: 20:47. Just makes it easier to set another PR at the next 5K! I emailed the race director to see if they had my chip time in their database. They said that my chip did not register when crossing the start line, so the 20:47 was, in fact, my gun time. He told me that used Greg's start time as my start time, and adjusted the results accordingly: 20:44. Thank you to Pacers Running and RunWashington Timing. Speaking of the next 5K, I plan to run one next weekend. It should be cooler and that race will have only one turn. It will feel glorious! The frequent dips in my pace from all the turns! This is my first time PRing in warm weather, that's typically unheard of in my book! There were no official age group awards, but I placed 3rd in the 30-39 age group. I felt really strong and energized, as opposed to the Cherry Blossom when I felt "blah"
I'm super excited to see what I can do next weekend. 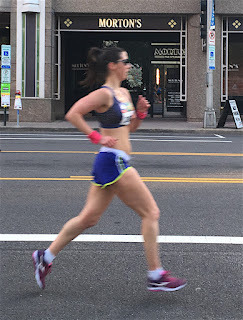 I won't be any fitter, but I think that if I run the same effort, the lack of twists and turns and the ability to run the tangents will help bring down my PR by a few more seconds. To be continued. . .
Congrats on your new PR! That stinks about the gun/chip timing being off. Honestly, I'd accept the Garmin time. It's only 3 seconds but it's not your fault they had a timing mistake and besides, this probably won't be a PR for long. It sounds like this is a good race and series in general and you did really well... they should offer age group awards in a field that large, though. 70 isn't too bad for a 5K. It's warm but at least it's a short race. It sure beats running a marathon and getting sunburnt which happens occasionally down here. I emailed them and they looked into it. They said that my chip didn't register at the start line, so that's why I have a gun time. They looked at Greg's start time and used that for my start time, which gave me 3 seconds. 20:44 official it is! Typically when I run 70-degree 5K's, they are in the morning so it's really humid. That's why I was expecting the heat to be a major factor. But this race was nice and dry. Caused a bit of dry mouth, but otherwise it ended up being fine. Congrats on your PR! Back in the day before chip timing, at a 5k, my finish time didn't get counted, and I would have placed at least in my AG! Glad you were able to get it sorted out. Congrats on your new PR! You continue to amaze me with each race. I am glad they were able to sort out that chip/net time fiasco. Interesting. I guess I need to make sure to always start with Greg as a backup timing chip! Twisty 5ks are hard to race - a straighter course will be much faster. I have had some Garmin issues lately, too. Races that start downtown are the worst, as the tall building confuse the satellite reception. CONGRATS!!! YAY for PRs all over the place lately. I think once you get into a rhythm of running more 5Ks, your pace will drop quickly. 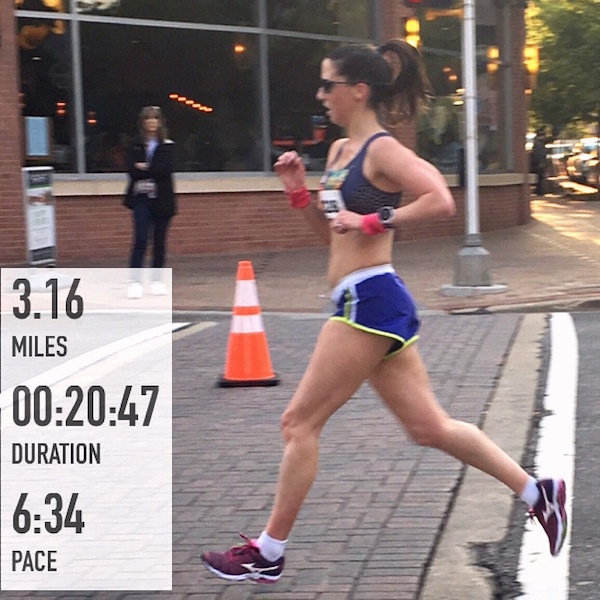 It is hard to run a 5K after being in a "distance" mindset for so long. I am a big fan of working on the 5K over the summer. It is fun! Congrats on the PR & a very smart race. I love that you tried to beat your bib #. Such a fun idea. Our results are always off by about 2 or 3 seconds, but very few, if any, of the local races here use chip timing. GW Parkway Classic 5K: Slower, but "Faster"